The Flynn Law Firm is pleased to announce that today, G. “Rex” Flynn, Jr., was admitted to the National College of DUI Defense (“NCDC”), headquartered in Montgomery, Alabama. NCDC represents the creme de la creme of DUI Defense in the Country, with its membership focusing their attention on DUI defense as a primary part of their practice. Rex is pleased to become a member of the NCDD, because of the excellence of their curriculum and their top notch faculty and programs. DUI Defense is extremely complicated, and Rex believes that the true benefit of joining the NCDD is to learn from the best DUI trial tacticians in the country. 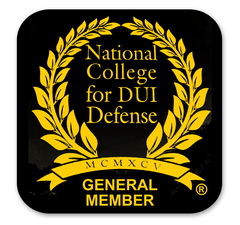 While it is an honor to be accepted into the National College of DUI Defense, Rex recognizes that truly perfecting the art of DUI defense will take a lifetime of study, preparation and application of the skills he learns at the NCDD. With his admission into the National College of DUI Defense, Rex looks forward to learning from the best DUI attorneys in the country about trial tactics in defending against DUI convictions, as well as cutting edge defenses from the NCDD Faculty. “[National DUI Defense] College members represent the most experienced DUI defense attorneys in the country. The original Founding Members funded the establishment of the college, and are among the top DUI practitioners in the United States. Since its founding, the College continues to recognize, as Sustaining Members, defense lawyers who have demonstrated the skill and experience of the original Founding Members, as well as the generosity to financially sustain the growth of the NCDD. General Members are the backbone of the college—capable, experienced attorneys who dedicate a portion of their practice to the defense of DUI cases throughout the country.” – From the National College of DUI Defense’s website. If you are charged with driving under the influence in the Commonwealth of Virginia or Maryland, contact the Flynn Law Firm immediately for a free consultation. DUI’s are very complicated crimes, and require the attention and skill of a skilled practitioner. A DUI conviction comes with significant consequences to your employment, your driving record, your privilege to drive, and several other collateral consequences as well, such as in immigration. 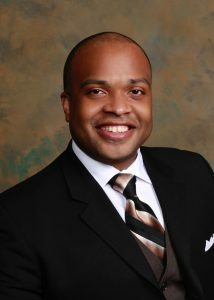 We are an African American law firm with 8 years of experience with driving under the influence charges. These charges are serious, you deserve to be represented by an attorney that you trust and that will fight for you to the very end. Give us a call today for a free consultation.